2017 has been a great year for the African Startup ecosystem. With stalwarts like Mark Zuckerberg and Bill Gates shifting their focus to encourage the startup ecosystem in Africa, greater access to investments and scalability now seems possible. Being home to several new young start-ups, the African continent, which is already grabbing the attention of many as a land of opportunities, will now evolve to be one of the vibrant tech geographies. 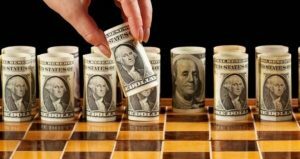 African startups saw $167.7 million in disclosed risk capital being infused in 201 startups between January and December 2017. 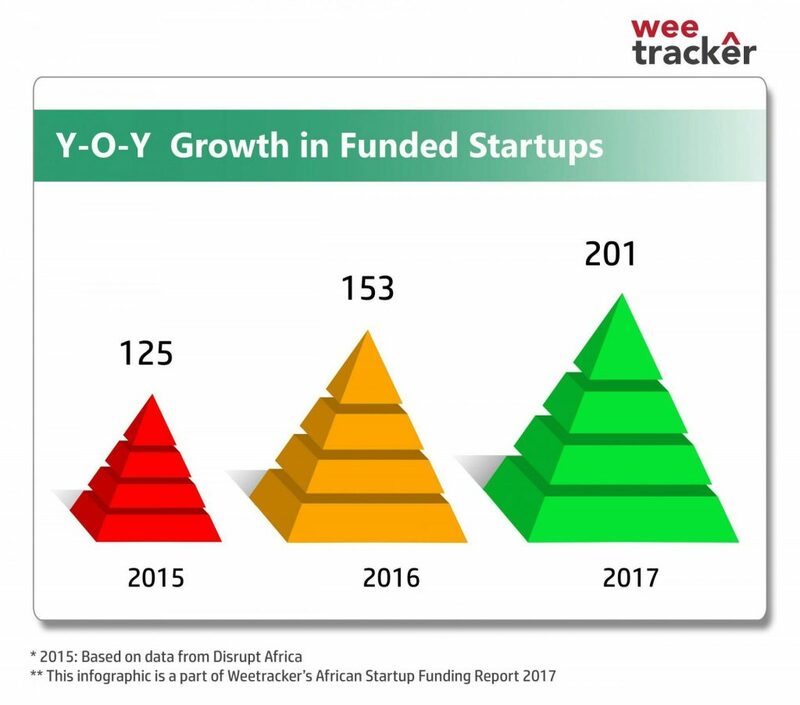 According to WeeTracker Research, the disclosed funding announcements have shown an increased growth of 28 percent YOY compared to the last calendar year (2016). Not only this, the number of startups that got funded in 2017 has also jumped by 32 percent compared to last year. The year also witnessed the launch of several new foreign Incubators & Accelerators of the likes of Startupbootcamp and MEST. 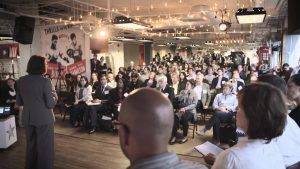 Numerous other funds akin to 500 startups, Omdiyar Network and others appeared on the scene. 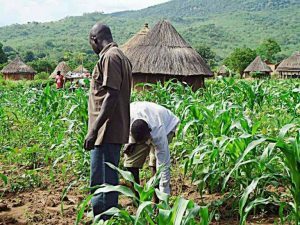 Foreign governments that wanted an early share of the pie, brought a corpus of $ 90 M to be invested in the continent, with initiatives like CoCreate SA of Netherlands and French-African Fund. 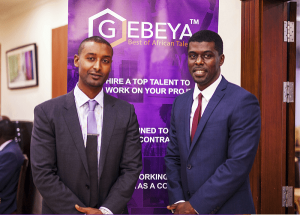 With different firms, organisations, and individuals coming to support financially; the startup funding activity in Africa is expected to witness a significant spike. South Africa bagged the top country title with 74 startups getting funded last year, followed by Kenya, which counted for 46 startups. The third spot was grabbed by Nigeria with 34 startups. The three countries have together made up 77 % of the total number of funded startups, grabbing an enormous chunk of the pie, as was the case in the last two years as well. 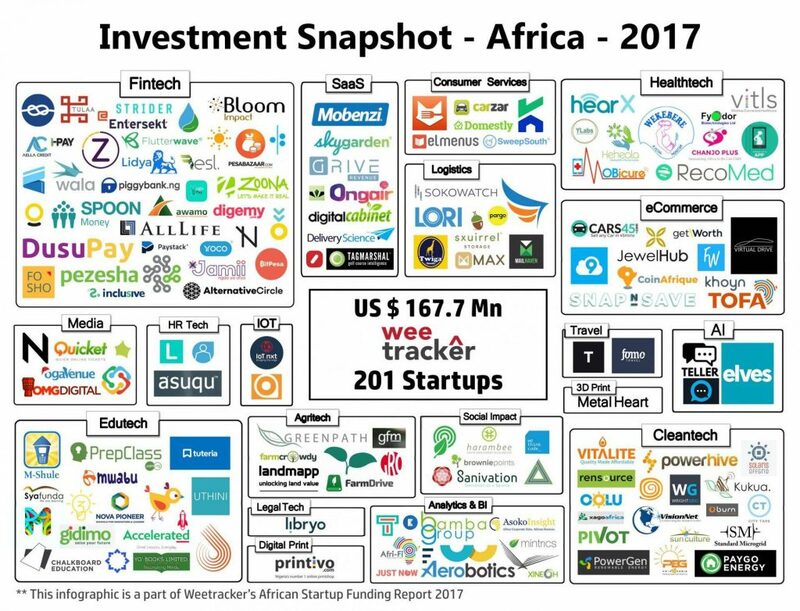 South Africa also topped the charts in terms of the funding amount with $ 39.60 M infused into its startups, followed by Kenya that attracted an investment of $ 31.4 M followed by Nigeria which secured $ 24.2 M. A special mention here goes to Andela, a coder training company, that raised $ 40 M alone. We considered Andela as a Nigeria based startup, however, we have not taken the funding amount into account for investment calculation. Fintech has yet again generated the loudest buzz and has managed to garner highest investor interest this year too, where the data renders 47 deals to its credit. The total amount poured into the sector stands at a disclosed amount of $ 30.68 Million, representing 18% of the total funding secured. Out of this, $ 10 Million has been grabbed by Flutterwave of Nigeria, a payments company that builds infrastructure to ease payment process. This marks the largest deal for the sector. 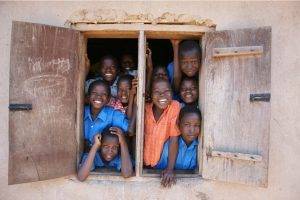 “Fintech in Africa is more about creating access than replacing the old with the new. 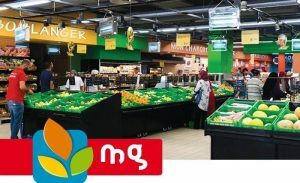 This may change at a later stage but at the moment the biggest opportunities are still green fields, and at Yoco we find this very exciting” says Lungisa Matshoba – Co Founder, Yoco. Cleantech, one of the top sectors of 2016, landed at the second spot with $ 18.1 million having been invested across 19 deals. This is followed by Edu-tech and Health-tech industries, witnessing 17 and 12 deals respectively. 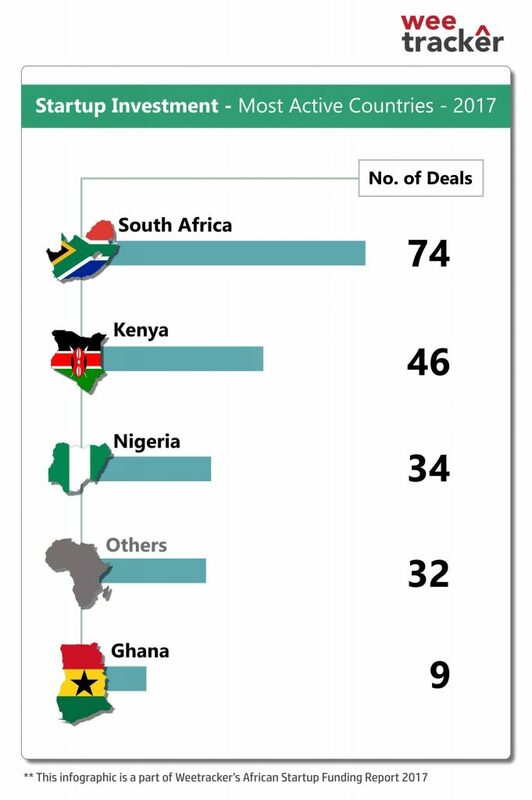 Seed stage investments have retained the top slot with number of deals at 72. Venture Capital and Grants were the next most favoured investment types with number of deals standing at 35 & 30 respectively. The biggest bagger of the seed money deal was internet service startup Tizeti from Nigeria at an investment of $ 2.1 M followed by Egypt’s AI Startup Elves at $ 2 M.
“Venture Capital as an asset class is slowly recognised as one of the catalyst to drive innovation, employment creation and growth. We should expect increased investment activity. Angel Investment will also come “out of the closet” with “Angels” becoming more visible, co-investing with other Angels or even VCs” says Andrea Bohmert of Knife Capital in an exclusive interview with Weetracker..
2017 felt like the year where the eco-system dots got connected. Maybe not all of them but there is visible ‘connection’. 2018 will be the year where (South) Africa will see the initial benefits of a ‘connected’ eco-sytem. 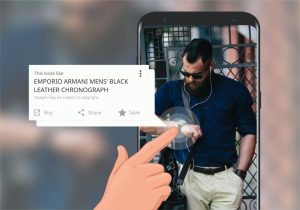 An increased number of entrepreneurs are addressing real gaps in their respective markets, aiming to build Gazelle-style businesses rather than “Apps”. More Corporates are starting to take the SME world with its innovation and potential for disruption serious, moving away from the “let’s sponsor an event and put our logo on” approach and start real engagement. I expect even Governments to start acknowledging the importance of entrepreneurship and act accordingly and not just talk about it. How far will we get in 2018? We will know in a year’s time. But I predict 2018 to be the year of visible traction” as told by Andrea Bohmert of Knife Capital. Names that made a mark in 2017 in closing some noteworthy deals were : Knife Capital, Chandaria Industries, Kalon Venture Partners, Omidyar Network, Algebra Venture and 4Di Capital. 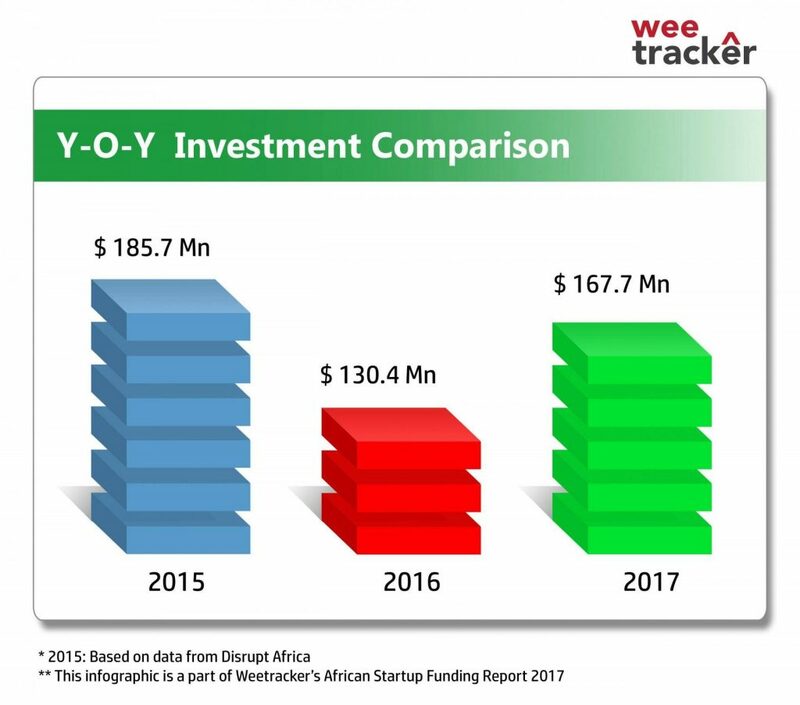 While quite a few deal amounts were undisclosed during the last year; Weetracker based its analysis on the numbers and choice of startup that were funded by these investors. In any nascent ecosystem, enablers play a pivotal role in metamorphosing startups, supporting them with the much needed training, mentorship and skill development. Taking a brief look at last year, Startupbootcamp expanded its wing in Africa & accelerated close to 142 startups across the globe. 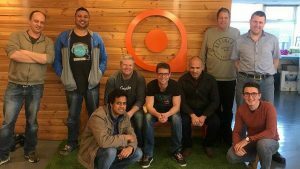 C0Create SA opened invitations for second edition of its programme that gives South African startups the chance to work with top Dutch scale-ups, and get an international perspective on challenges faced by their business in the South African ecosystem. 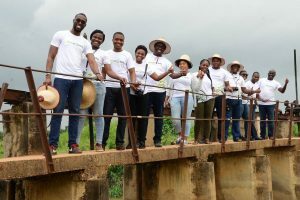 ‘Startupbootcamp is the first mentor-driven, multi-corporate backed accelerator programme for top-tier tech ventures in Africa, and it proved in demonstration (through 32 commercial engagements with corporate partners) that startups and corporates can collaborate successfully in the innovation space,” said Zachariah George, co-founder and Chief Investment Officer of Startupbootcamp Africa. The closing of the spectacular year only rightly nurtures hopes and aspirations of the new year heralding an era of massive untapped opportunities and the rise of a brimming tech locus. 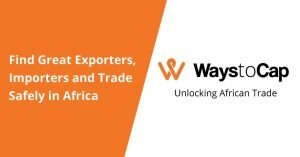 This article is a part of Weetracker’s “Africa in 2017” series and also marks our official launch. Our aim is not just limited to inform and make our global readers aware about African Startup Ecosystem but is to develop the ecosystem in a holistic manner. Our team holds great experience in the Investment and Startup Landscape in the most mature and emerging tech economies in the world. We will leave no stone unturned to ensure that Africa shines at top positions in the tech world.